I have never tried a mounted mop and broom holder, but since my sister lives in a small apartment, I though that it might be a good solution for her small space. 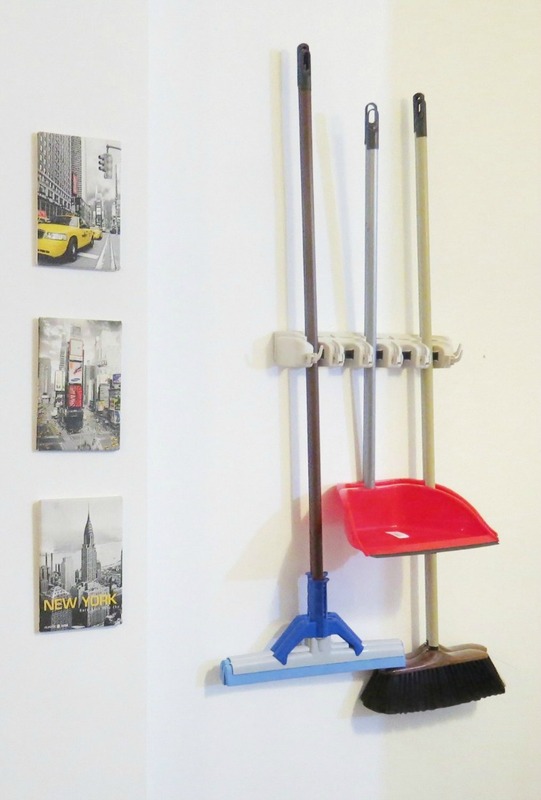 The Amazing Mounted Broom and Mop Holder by HS Home Solution was very simple to install and includes all the hardware for installation. Having helped my sister install this, it was easy to see how sturdy it is! 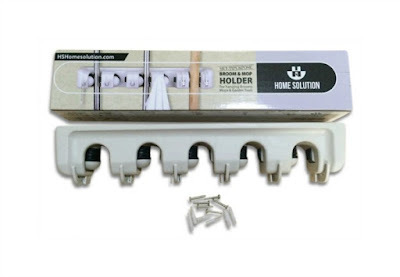 The Amazing Mounted Broom and Mop Holder by HS Home Solution lists for $25.00 and is currently on sale for $15 on Amazon.